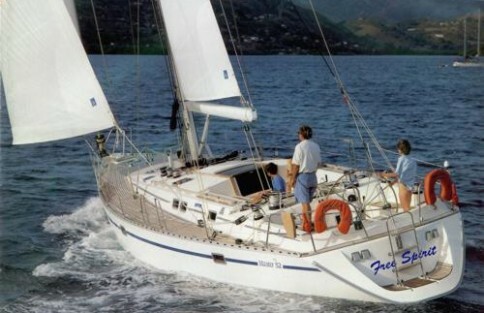 Born on the draft boards of yacht designers Michel Joubert & Bernard Nivelt, this sailboat features spacious interiors, with a deck layout that consists of two cockpits and an owner’s fore-peak. 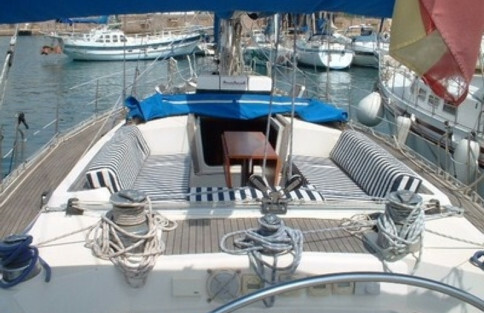 She is well built, beautifully appointed boat and perfectly equipped to be a live aboard yacht with distant destinations. 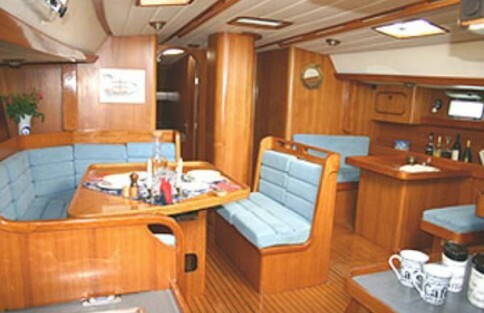 numerous hatches do provide light and ventilation, allowing guests to enjoy maximum comfort below decks. cabins can be converted to one large owners cabin with separate shower and toilet. 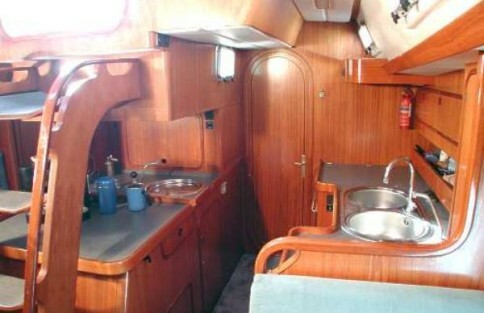 The Aft 2 cabins are large and spacious with their own heads and shower facilities. If you would like to find out more about the availability of chartering this yacht, please return the form and we will get back to you as soon as possible.